Nature is undergoing a fresh start, and so are homeowners who are ready to clean up the dirt and grime that has been accumulating in basements, storage sheds, homes, and garages over the winter. Before you start your spring cleaning, review these valuable tips. Spring cleaning can be hard work. Stretch before any vigorous cleaning activity. Break up your cleaning time — don’t rush and try to clean everything in one day. Take frequent breaks if needed. Use proper lifting techniques if you are moving large furniture or boxes. The last thing you want to do is hurt yourself while cleaning. 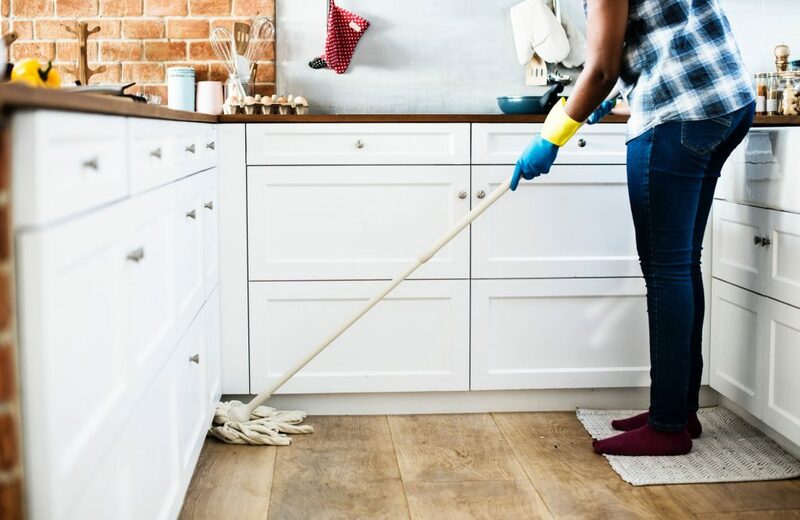 Depending on which area of the house you’re cleaning, whether it be outside or inside, make sure you’re wearing the proper gear and using the necessary safety equipment. Safety goggles, long pants, gloves, and sturdy shoes are all recommended. Consider using a mask when cleaning dusty areas or using harsh chemicals. Have your cleaning products been sitting around since last year’s spring cleaning season? Experts recommend examining all household cleaning products before using them, including laundry packets. These products may contain ammonia, sulfuric and phosphoric acids, lye, chlorine, lead, formaldehyde, and phenol. Cleaners can burn skin, irritate eyes and cause respiratory harm. In addition, do not mix ammonia and bleach together, both of which are common household cleaners, because they create toxic fumes when combined. It may be time to go green. Remember, Children are more vulnerable than adults to the adverse effects of chemical pollutants. Their bodies are developing rapidly, and their hand-to-mouth activities make them more susceptible to toxic exposure. If you have children or pets, make sure all cleaning supplies and equipment are safely put away when you’re done using them. It’s easy to get caught up in cleaning the house and forget about a bottle left here or there. According to the Centers for Disease Control and Prevention, more than 300 children are treated in the U.S. every day and two die as a result of poisoning. Using a caddy carrier also helps by giving you a specific place to put bottles, lessening the chance you’ll accidentally leave them behind. Spring cleaning outside your home is necessary too. Get your yard ready by trimming dead trees/shrubs, clearing overgrown plants from the walkways and repositioning any displaced stepping stones. It’s also a great time to clean out your chimneys and gutters to reduce fire or flooding hazards.